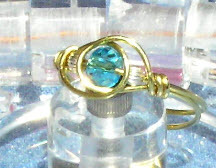 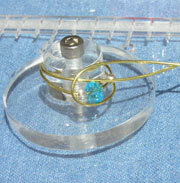 Step 4: Have the wire wrap around the beads. 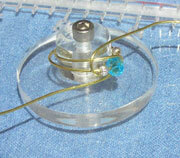 Make one side of the wire go over the top of the beads and one go under the bottom. 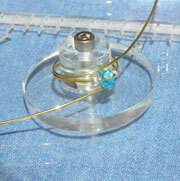 Step 5: Guide the between the 6mm bead and the 3mm bead on each side of the ring.